Modul 8x LED displej s MAX7219. 5 pinů rozhraní (VCC, GND, DOUT, LOAD, CLK). 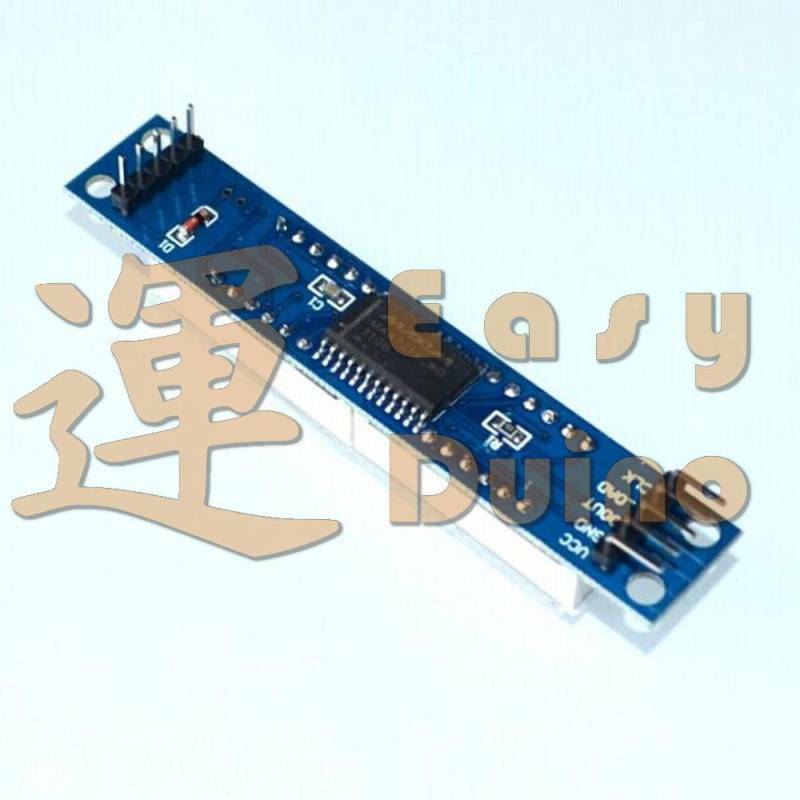 MAX7219 is a kind of integrated serial input/output common cathode display driver, it connects microprocessor and 8 digit 7 period of digital LED display, also can be connected to the bar graph display or 64 independent LED. It includes a piece of type B BCD coder, multiple scanning circuit, period of word drive, but also an 8 * 8 static RAM used to store every data. Only an external register used to set each LED segment current. A convenient four wire serial interface can connection all general microprocessor. Each data can be addressed in the update don't need rewriting all the display. MAX7219 also allows the user to each data selection coding or not to code. The whole equipment includes A 150 μ A low power consumption closed mode, analog and digital brightness control, A scanning limit register allows users to display 1-8 bits of data, and A let all LED luminous detection model. 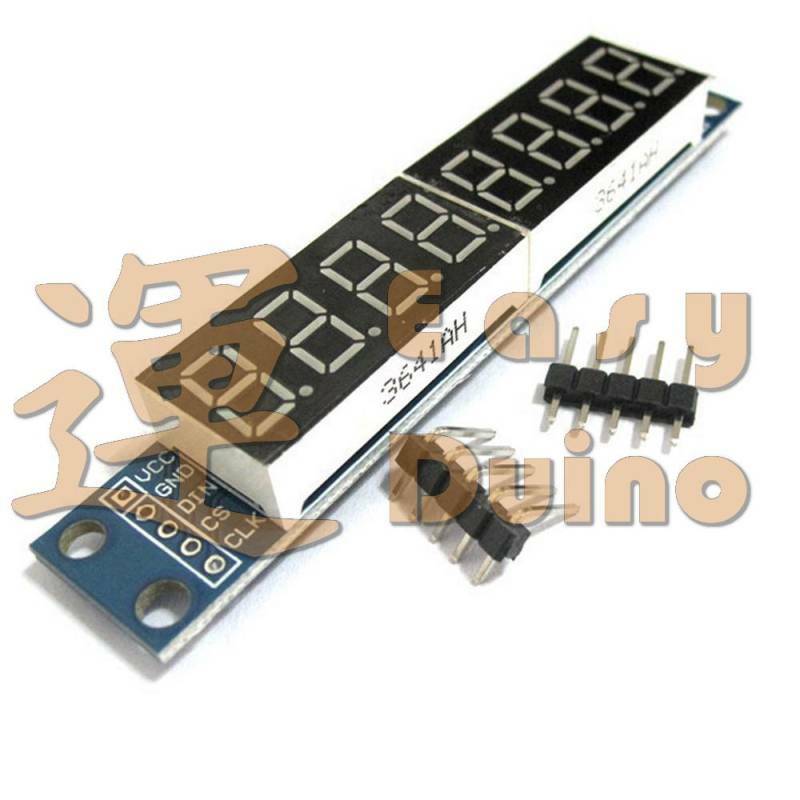 Only need three IO mouth can drive eight digital tube! 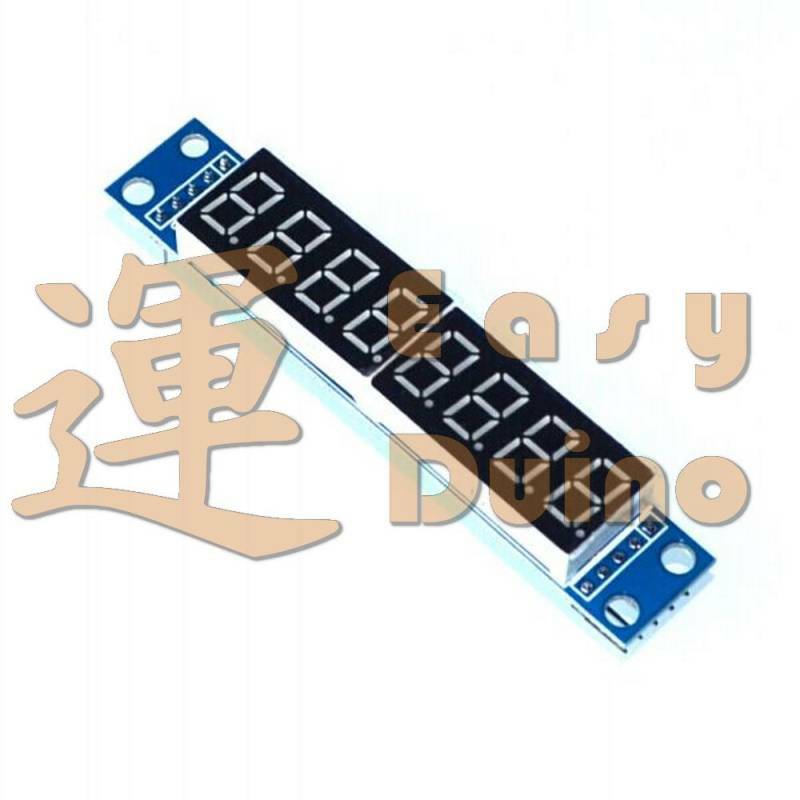 Digital tube display when flicker free! Support cascade!